Is it possible that the ALA Youth Media Awards press conference was almost two weeks ago? Wow! I have not stopped smiling since we called Kate, Holly, Kevin, Amy, and Vince to share good—no, great—news . 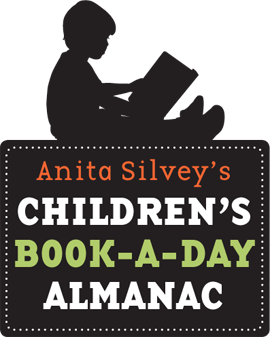 I asked two-time Newbery Medalist Kate DiCamillo (Flora and Ulysses) and Newbery Honor authors Holly Black (Doll Bones), Kevin Henkes (The Year of Billy Miller), Amy Timberlake (One Came Home), and Vince Vawter (Paperboy) the same three questions. Today's special guest is Kevin Henkes! Congratulations, Kevin! 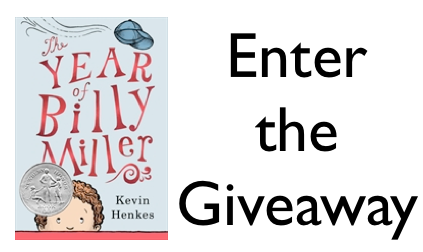 I am giving away a copy of The Year of Billy Miller. 1. It will run from 2/9 to 11:59 p.m. on 2/10. 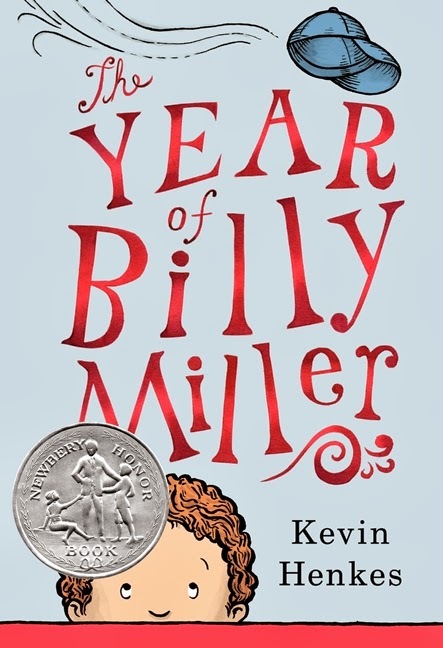 Borrow The Year of Billy Miller from your school or public library. Whenever possible, please support independent bookshops.